Okay, so we’re just about two weeks into 2014. How’s everyone doing getting started on their new year’s sewing resolutions? Or, should I say, “resewlutions”?! Getting a good first tackle on those resewlutions is something I want to focus on this month. I’m throwing it into the Science of Sewing thing I started last year since I figure our sewing goals are hugely important to how we manage and maintain our sewing – and how we keep it fun! And, that’s a big part of the science of sewing, right? By writing about how I’m getting a jump start on my resewlutions this month, I’m hoping that those of you who’ve also already started on yours will share and help keep me motivated, and I’m hoping to spur those of you on who haven’t even begun to think about yours (though, hopefully that’s none of you!). Keep sewing once the little one arrives. Be more conscious of sewing with fabrics and patterns that flatter and fit my lifestyle. Move to my own dot com. Get better connected with the Seattle sewing community. So, how am I doing? I’m off to a good start, I’d say! I’ve actually already checked one off the list. If you look up, you might notice that the domain now says sew-well.com. Crazy, right?! I checked number three off the list. Now, I know when I wrote about number three, I said it would follow number one and two. But, number one requires the little one to be present, and he or she is still enjoying kicking my ribs from the inside. Number two requires I really plan out the clothes I want to sew next, and though I’m definitely dreaming about my post-pregnancy sewing, it still feels a bit presumptuous to start thinking about what it means for something to truly “flatter and fit my lifestyle” since I have no idea what’s in store for me as a new mom! So, I figured I’d at least look into number three. You know, for later. When I did, I quickly realized that it was actually pretty easy to stick with WordPress.com and just take advantage of the dot com that my husband had surprised me with a couple years ago (after I complained about someone being crazy enough to sit on the unhyphenated version). And, I rashly pulled the trigger. I have to figure out what it means if I ever wanted to drop the dot com and move back to sewwell.wordpress.com, but I figure it is likely easier with the way I’ve done it now than if I were to move everything to WordPress.org. I bring that up because I once had a conversation with a popular and prolific blogger who mentioned how important it was to her that everything about her blog be free so it could continue as is indefinitely. Her sentiments have stuck with me, and I think about them whenever I get crazy grandiose ideas about this blog. Anyway, enough about me. How are you doing on your resewlutions? Let me know in the comments! 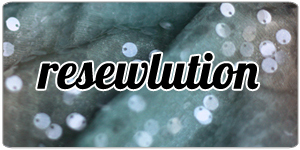 Or, if Twitter, Instagram, or Pinterest are more your style, what about using the hash tag #resewlution to share a sewing resolution that you’ve already started working on?! Let’s motivate each other to get this year off to a great start! I love that personal style has been such a popular resewlution this year. I’m looking forward to seeing people sewing what really works for them! And, yes to trousers! I’ve enjoyed the pants sewing I’ve done to date. Once you get the fit down, they come together quickly! I like your resewlutions and your process for accomplishing them makes a lot of sense. I am a mom-of-many and can speak to your truth of anticipation of life after baby. I am just beginning my blog journey and love reading the info about dot com. I have started my blog but, posting to it regularly is one of my resewlutions as well as embarking this year as a year of total hand made clothes for myself and my husband. (our children are all grown so any gifts for them and our children will also be included in this) I have been sewing….now for the posting…. I like your goals!! And, I do hope you’ll keep up the posting. 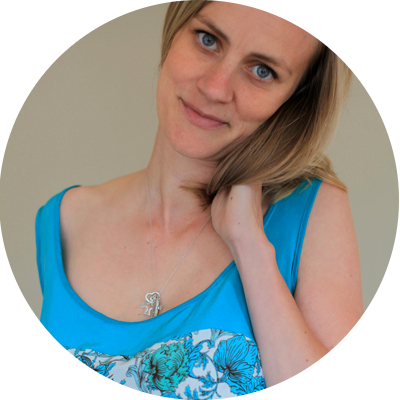 The sewing blogging community is go great! I use bloglovin and I got your post like normal. Yay! you finished one. I am doing the Ready to Wear Fast and following along with so many to choose patterns and fabric that better fit my style. I’ve enjoyed reading that the sewing-patterns-and-fabrics-that-fit-your-style is a theme this year. It’s one of my goals as well! I’m going to be taking a seminar on it at the Sew Expo in March, and I hope to write about that in next week’s resewlution post. Good luck with the RTW fast! I stay away from RTW, but I worried I couldn’t sign up in good conscience this year what with the baby coming and not knowing how that was going to change things. Wow, that was fast! 🙂 Two of my five “resewlutions” were to learn more about sewing outerwear and to sew two garments for my guy. I’m sewing a casual jacket right now, and bought the fabric for two pieces for Man Friend on Saturday. Nothing done, but moving in the right direction while I still have the New Year’s momentum! I’d say that’s a great start. I think I’m hyper focused this year because life’s going to change here pretty soon, so I’m feeling a bit of pressure to get what I can done now!! I use feedly, and your post came in just fine! I use an RSS reader and your post came up just fine for me too, so it looks like what you did worked! I use bloglovin and your site came up just fine. No problems on my end either. This is the first time I read about your Science of Sewing series and I love the idea! I sew a lot of lace so I’ll be coming back to that post a lot! Thanks! If only I’d kept it up last year. Here’s to hoping I’ll keep it up this year… though with the baby coming, who knows?! Your post came through perfectly…thank goodness, as I instinctively hold my breath until I can read it thinking it will be baby news! My goals are to use up at least half of my stash before ordering more fabric (very hard goal for me), finish a rag rug for my daughter’s room (one way to use up the stash hehehe) and do some challenging (tailored) projects. Can’t wait to hear about your little girl! Awww, thanks! Though the baby is in a really good spot, I predict it’s going to be there until well after my due date, which is just about a week from now. Here’s to finding the patience to enjoy this last bit of time… If only my left leg hadn’t stopped working once the baby dropped! Hi Amy, Thanks to info from your blog, I went to my first Seattle Sewing Meetup on Saturday, and also spent some time drooling at fabric at the wonderful new District Fabric. So thanks! Hope to meet you one of these days (perhaps at Expo?) Just joined ASG as well. Yay! I wish I had had the time to go to the Seattle Sewing Meetup this past weekend, but things are a bit crazy right now! Did you go to the one in Shoreline? I actually still haven’t officially joined the ASG. I need to get on that! And, I will be going to the Expo. Just on Sunday though since I was worried about overextending myself with a newborn. I wanted to pick a day that my husband could help out with the little one and liked the fact that I wouldn’t be tempted to stay all evening since Sunday ends earlier! Will you be there that day?! Congrats on getting such a early start on your resewlutions! I haven’t had much time to work on mine yet, but I start days off tomorrow and then I plan to start sewing through my pattern stash! Hurrah for conquering one of your resolutions! I follow with bloglovin and you came through as usual. I’m working on connecting to more people socially and redesigning my blog. I really want to do more tutorials this year and become better with my self photography. Kudos on beginning your resewlutions! I became a mother in 2012, and was indeed able to do a little sewing here and there. Everyone kept telling me to “nap while the baby naps,” and I definitely had to catch some rest whenever I could. And to be truthful, I was so enamored of my baby that I had not the least bit of interest in sewing. But when the mojo came back, I found myself in the sewing lounge tackling small, unstressful projects during baby’s naptime. It took a while before I wanted to sew anything for my post-partum figure, but I always have tons of other sewing projects I want to accomplish. At this point, I’m getting into sewing children’s clothing, which I never thought would interest me. So you just never know. Enjoy your newborn and congratulations in advance! Babies sleep a lot (and they are immobile! ), so I got a reasonable amount of work done while my youngest was little. I had an idea that I wanted to get him used to just hanging out with me in the sewing room (and the machine noise! ), so while he was amenable, I sewed with him awake on a blanket. Best of luck, can’t wait to hear about the arrival! Oh! Thanks for the tip on sewing with little ones! And, good luck on your one garment a month goal. You always make such easy to wear pieces that I bet you’ll have a great year sewing!